At the Sri Lanka Institute of Nanotechnology (SLINTEC), today is someone’s birthday – the riot of pink and yellow post-it notes decorating Prof. K.M Nalin de Silva’s door single him out. For the Science Team Leader it’s a fine day to meditate on the world of his ancestors and to imagine the one his children will inherit. 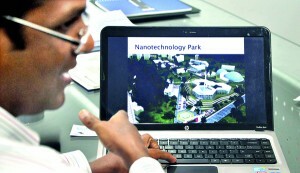 Since it began research in 2009, his place of work has become one of the most singular success stories in Sri Lankan innovation – SLINTEC has filed eight patents in just three years and come August they will move into their new 50 acre headquarters in Homagama, the first step toward establishing a world class nanotechnology park. 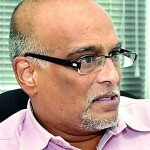 Prof. de Silva’s focus is on smart fabrics and vital nutraceuticals and he believes technology has allowed us to lead lives unimagined by our not so distant ancestors and that it will be nanotechnology in particular that will allow our children, and our children’s children to weather the coming energy and resource crisis. “With nanotechnology we are using a small amount of material to get a big effect,” he says. CEO Asela Gunawardena explains the SLINTEC set-up. Asela explains that the institute’s equity ownership is split evenly between the National Science Foundation and heavyweight private sector partners like Dialog, Brandix, MAS Holdings, Loadstar and Hayleys. The challenges posed by the latter have spurred the institute to create a range of products from new generation slow release fertilizers to state of the art smart textiles and wireless ECG sensors. Though research into nanotech can often sound like something out of science fiction, these are deliberately low tech. 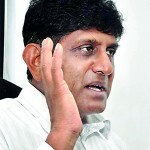 “One thing we didn’t want to do in Sri Lanka was mimic what the West was doing, particularly in nano-pharmaceuticals,” says the institute’s other Science Team Leader, Prof. Veranja Karunaratne. “There was no point competing with the giants. Whatever gets sold, that technology has to be number 1 in the world or no one is interested.” SLINTEC has surprised its sceptics by coming out swinging, even though it began life as a clear underdog. “Basically, when I started working here this place had only oxygen to breathe – there wasn’t even water to drink,” says Prof. Karunaratne who has been with SLINTEC from the start. “There was no roadmap for us,” he adds, explaining that among the team’s initial challenges was setting up shop in a matter of months and procuring Rs.300 million worth of state of the art equipment for the laboratories. (At Rs.80 million, Sri Lanka’s first Scanning Electron-Microscope counted for a tidy chunk of the budget and they have since added more equipment worth an estimated Rs.50 million.) They had promised the public results in three years – but they managed it in one, filing five patents in 2010. 2011 saw 2 more patents filed as research projects simultaneously advanced to development and factory and field trials commenced. 2012 was even busier. Asela lists 4 new R&D projects initiated with new partners, a new patent filed and another granted. Headlines were made when the Indian giant Nagarjuna Fertilisers and Chemicals shelled out $3 million for two patents related to sustained release fertilizers and additional research. As Nagarjuna’s products were sold on the global market, SLINTEC had to initiate 16 international filings covering all continents. In agriculture this means advanced plant nutrients, fertilizers and agrochemicals; in water purification it’s about using nano-materials in the process alongside developing sensors. There’s also high value mineral processing (they’re recently found a partner in Laugfs) that could boost Sri Lanka’s high tech exports significantly. On average only 1.8% of the total manufactured exports in Sri Lanka each year qualify as high-tech as compared to Korea (75%), Thailand (27%), Singapore and Malaysia (50% each). “We’re a commodity selling country. We haven’t basically moved, in a serious way, out of the economy that the British left us,” says Prof. Karunaratne, adding that SLINTEC’s work could go a long way to changing that. In a move that would play on Sri Lanka’s historic investment in Ayurveda and indigenous medicine, they’re looking at creating potent nutraceuticals that harness the active agents that are said to make manioc anti-cancer, that help karawila alleviate diabetes and that see turmeric used as an anti-bacterial agent. Sri Lanka’s position as an apparel manufacturing hub is also offering wonderful opportunities to innovate. At the request of clients, SLINTEC is working on fabrics that are anti-bacterial, temperature and moisture controlled, capable of UV protection and self-cleaning. Imagine a school uniform or a hospital bed sheet that only needed a few hours in the sun to be as good as new. Imagine a fabric that could track a soldier’s vital statistics in the field and transmit them back to camp or alert a doctor if an elderly patient out walking had a heart attack. Imagine underwear that got rid ofsweat while moisturising your skin. They’re all on the drawing board at SLINTEC. When not working on commercial projects, SLINTEC’s scientists also get to stretch their wings through an open innovation programme that allows universities and other stake holders to use the state of the art facilities for research. “Our goal is to lead nanotech research and do research which is world class but we are trying to be relevant to Sri Lankan industry which is led by our engagement with the industry,” says Prof. Amaratunga, talking about the dual roles they embrace. Published in the Sunday Times, Sri Lanka on March 17, 2013. Words by Smriti Daniel. Pix by Indika Handuwala. Tags: SLINTEC is revolutionizing Sri Lankan nanotechnology. Bookmark the permalink.